It currently retails for about £40 in store. I had a look online and found it was slightly cheaper on Amazon… As I found myself bored one evening and didn’t fancy waiting around for a delivery that could take days, I went out to buy one. For some reason (that I decided not to question), they included a discount at the till and I ended up paying less than £36 for the pack, which undercut Amazon’s lowest price at the time! Bargain! One great thing about shopping in store that you will not find online, is that you can compare products in person (just like our parents used to, in the olden days…). 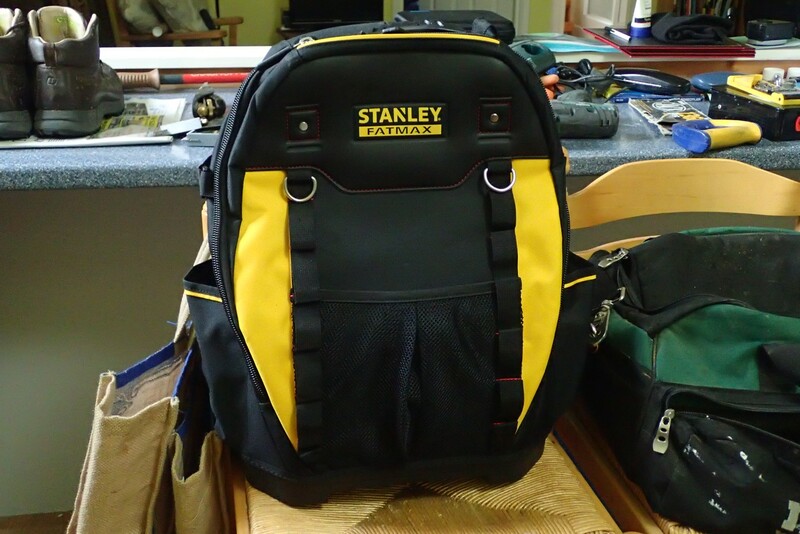 Bunnings had an ‘orange and black’ backpack, on sale at £20 and available next to the Stanley model… It wasn’t terrible but felt inferior by comparison. Small zips, light in weight and made generally from a thin material that I feared would fail under load and within a short space of time. I was really impressed with the ‘fat’ and inflexible feel of these zips. 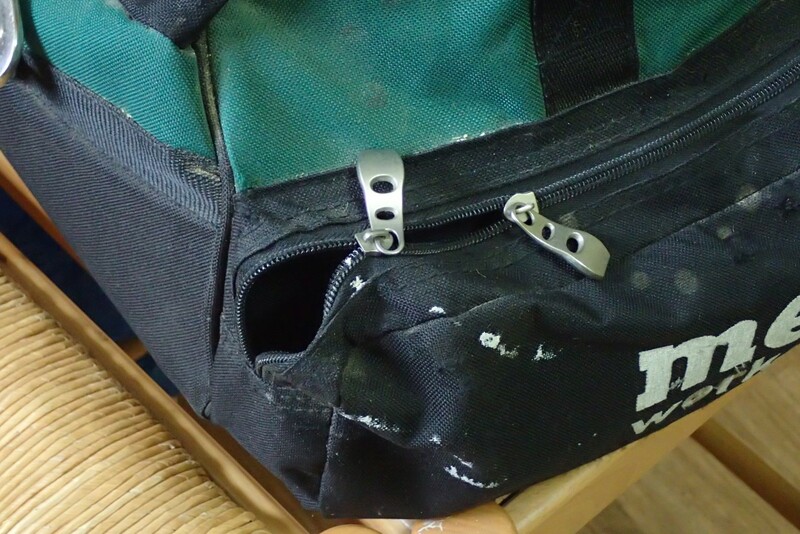 One of the failings of my Metabo holdall (which I’ve been using otherwise, since 2010), is that the zips eventually gave way. 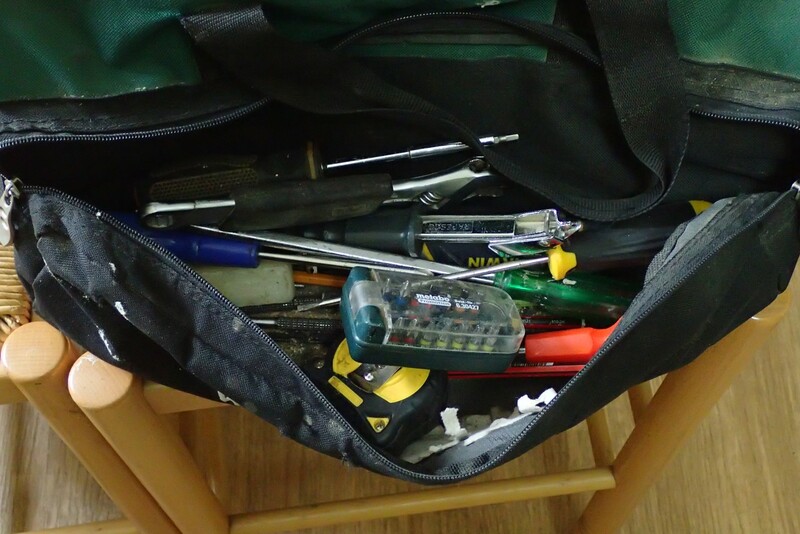 Also, as I’ve mentioned before: there was no convenient or ‘lean’ means of storing and organising my tools inside the bag, which would make any one item visible or accessible when I would actually need it. 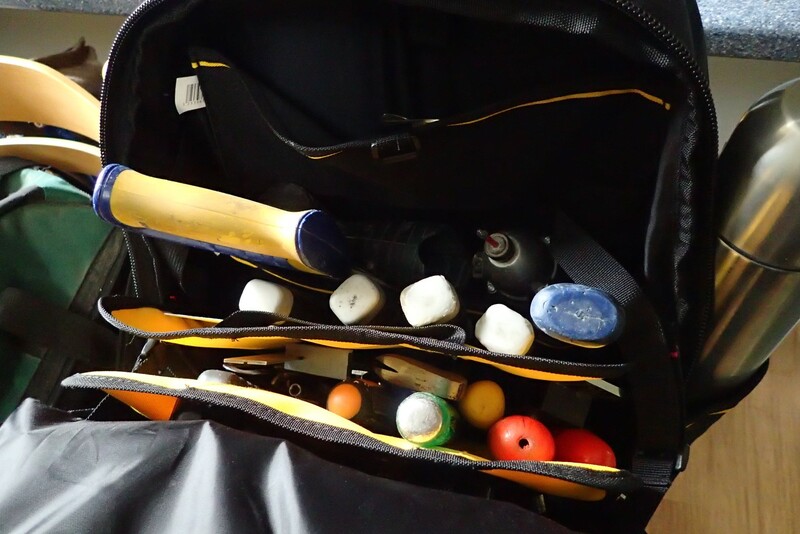 It was no better than your average plastic toolbox, in that respect. 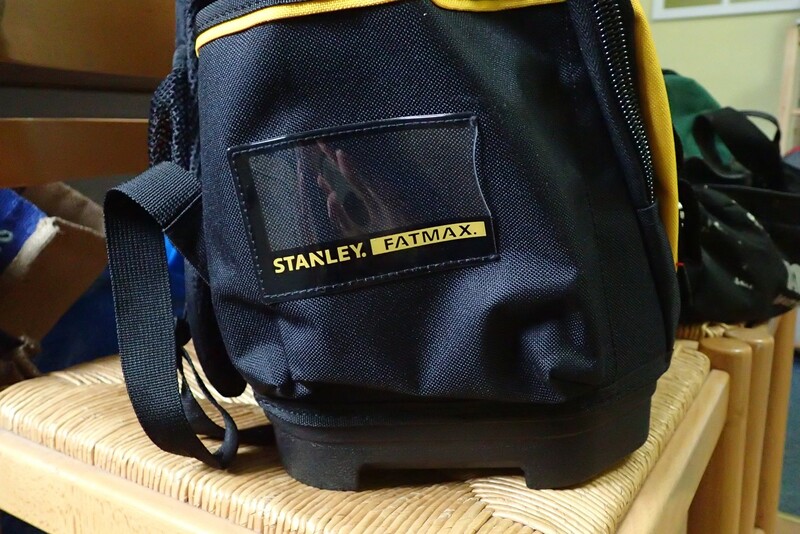 One of the defining features of the Stanley Fatmax backpack is that the integral tote is removable. 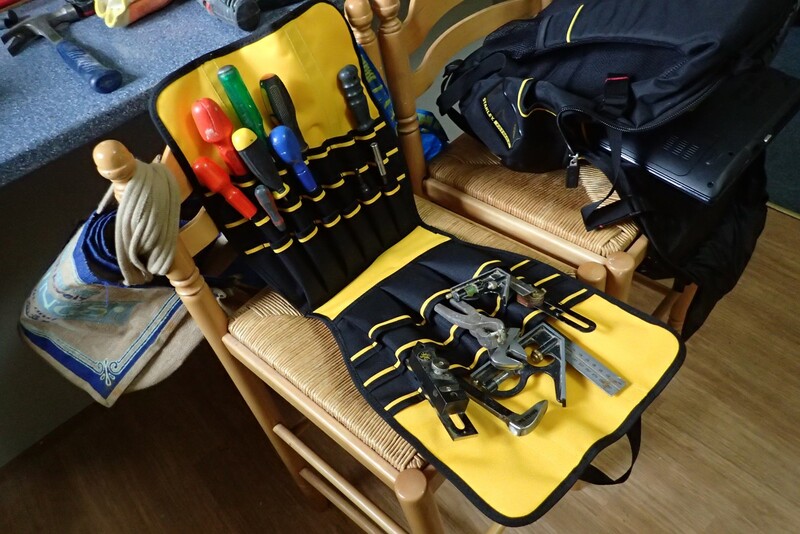 Whether that’s so that you can have better access to your chisels and screwdrivers while on the job or, in case you wish to use the main compartment to hold something else entirely. There are four pocketed sides to this tote. 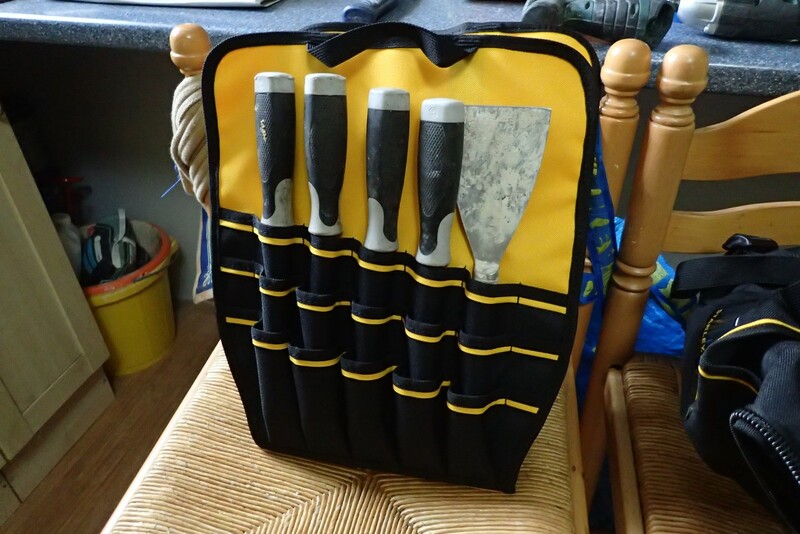 Here, I’m able to hold my (limited) supply of screwdrivers, along with chisels, pliers, pincers, marking tools and more, with room to spare. Since taking this photo, I’ve realised that it would be an ideal situation for my mass of spade bits, which are still inside a plastic box. 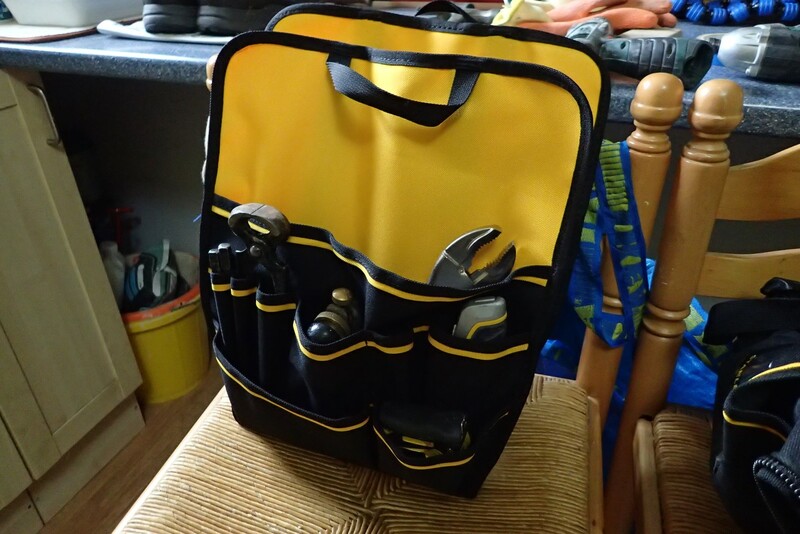 I still need to practice reorganising my own tool set but I’m sure you get the idea. On one side the of the pack is a clear plastic sleeve, in to which you can slip your business card, for example. 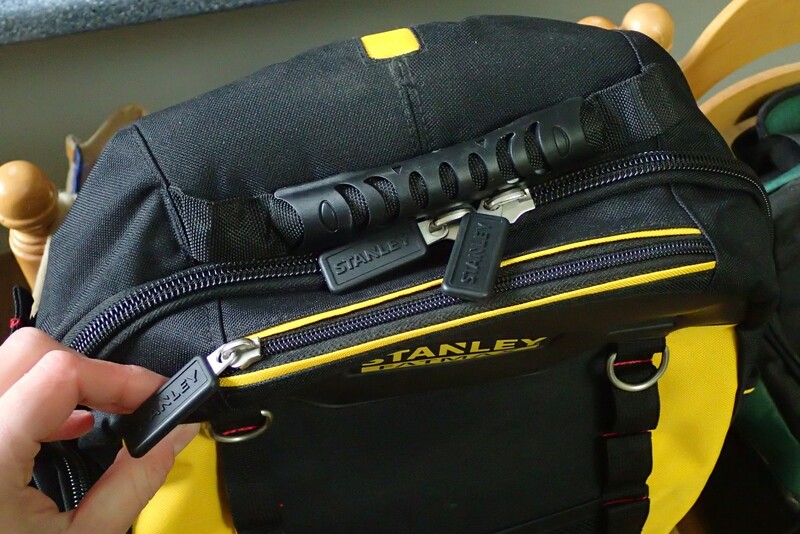 This sits on the side of one of two side pockets, which will easily hold either a flask or my 10.8v battery charger, as two examples. 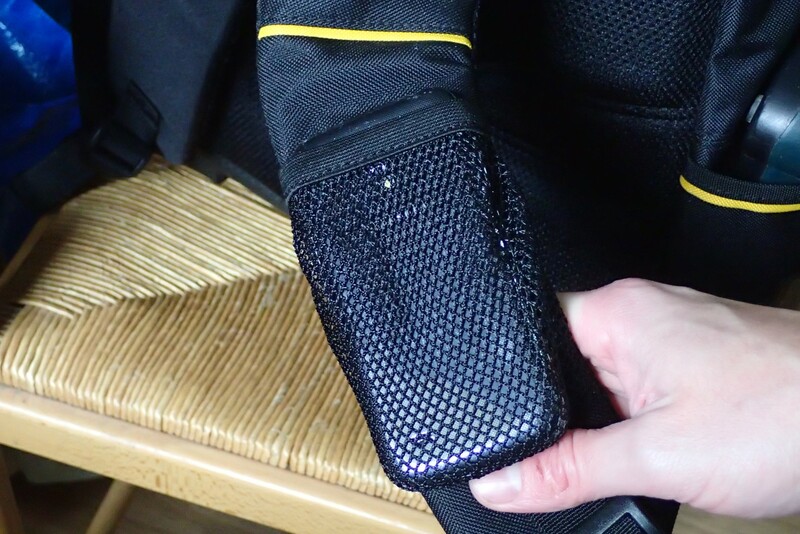 There’s a mesh pocket on the front of the left-hand shoulder strap that comfortably holds a mobile phone (here, it contains my Samsung Galaxy S4 Mini smartphone). 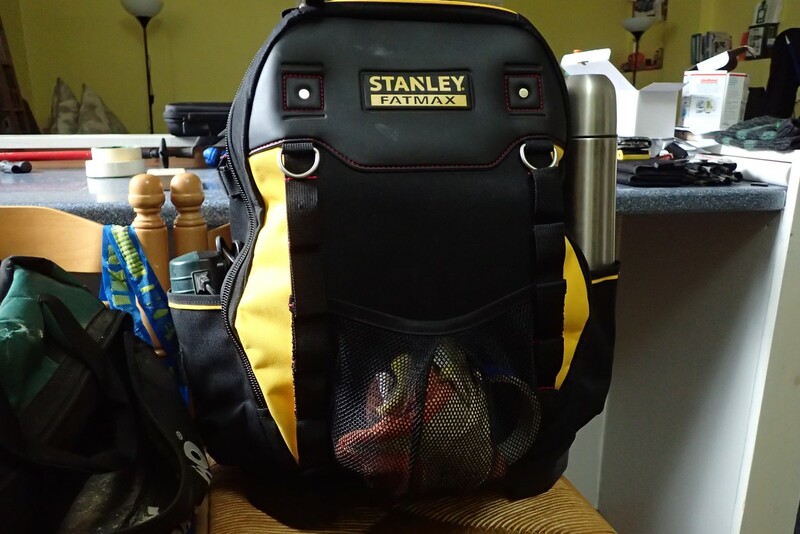 On the front is a mesh pocket, in to which I currently stash gloves, masking tape, a tape measure and any other items that I may need instantly. You can also see a pair of hooks and nylon webbing loops, through which further items could be held (I haven’t figured it out, just yet). 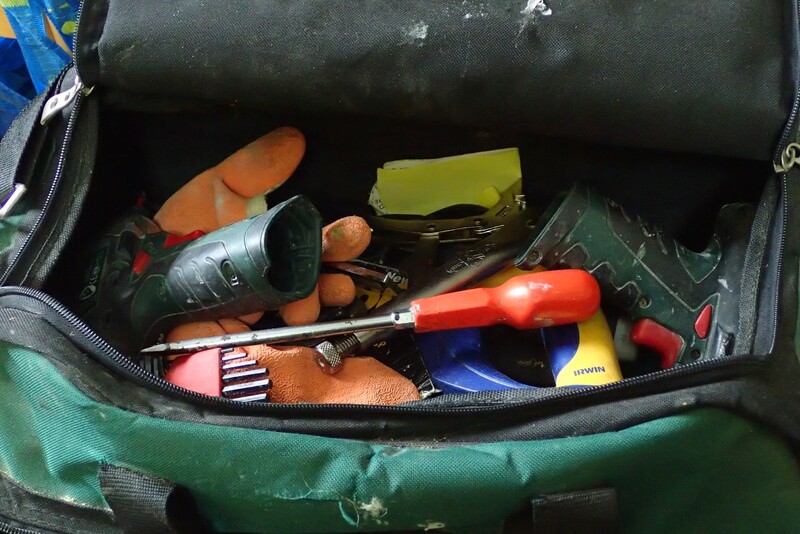 There’s a small zipped pocket above the front of the backpack, in to which I currently have my pencils (always going missing) and my most used screwdriver and countersink bits. There is the option to fit a standard-sized laptop inside the back panel but, this isn’t something that currently appeals to me. Another small pocket lives above this and, in here, I have more pencils and some other small items that may otherwise be lost too easily. You can see that I’ve managed to fit my 10.8v drill drill and impact driver inside. I’m not confident that a pair of 18v drills would fit as comfortably, depending on the size and model. From a woodworker’s perspective, you could look and see that I’m currently missing a few key items – including a bench plane, larger than my apron plane. Perhaps also a marking gauge and I may not require the tenon saw you can see, above. 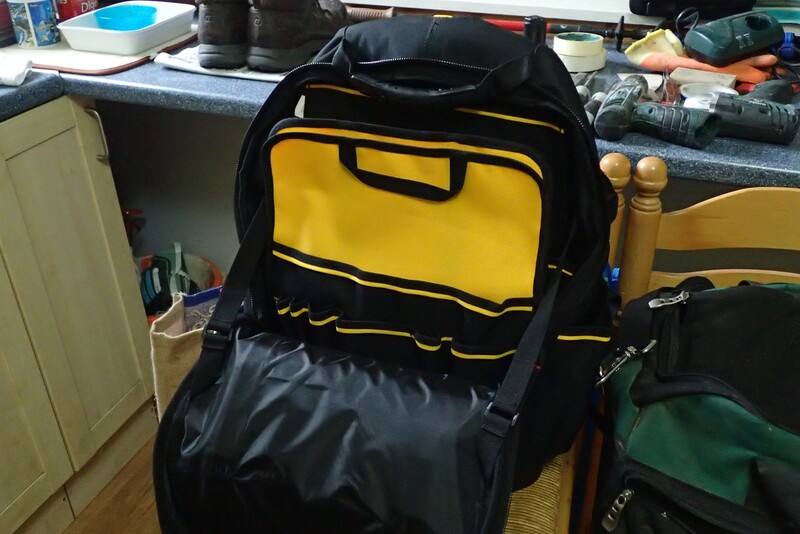 But, for a weight of 14kg on my shoulders, I’m quite happy with this right now and the load feels secure on my back. This model is not quite as comfortable as one of my £100 hiking daypacks (and, why would it be) but this should certainly take the strain off the right side of my body, which has always been a concern when carrying a single heavy load under one arm. My only dislike at the moment is the use of yellow on the outside, which may attracted unwanted attention. I could wrap it in duct tape but I hope it will get dirty (or damaged) in time. Inside, of course, it helps to keep everything visible and apparent. Thanks for reading. I hope you’ve found this to be useful.